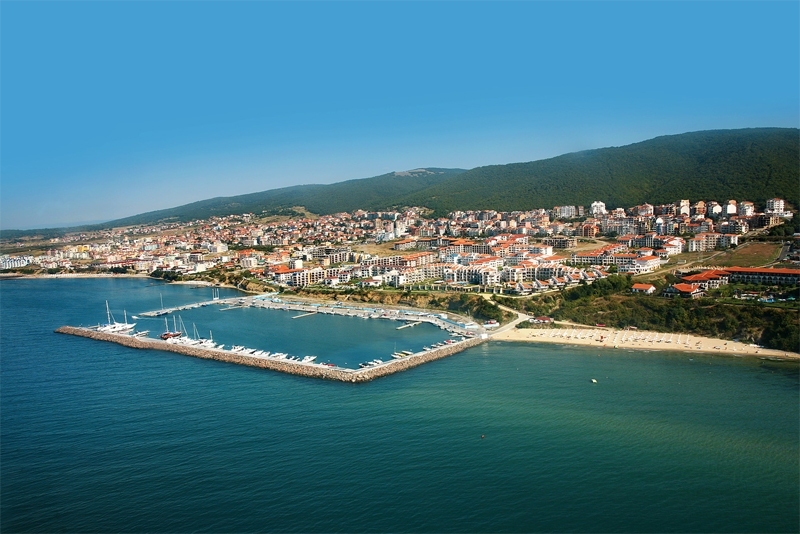 Saint Vlas (Sveti Vlas) is a beautiful coastal village situated just 3 km north-east of Sunny Beach and about 12 km away from Nessebar. Saint Vlas is easily reached from Bourgas airport, which is only 25 minutes drive away. To the west is Sunny Beach, which takes a few minutes by public transport or half-an-hour walk along the coastal path. In the opposite direction along the coast is the village of Elenite. Inland are the foothills of the Stara Planina mountain range, which spreads westwards of the village across the whole territory of Bulgaria. In the past few years, the village has been developed into a modern holiday destination, with brand new hotels and modern infrastructure. The natural conditions - mountain, forest, sea and southern exposure of the mountain slopes, are extremely healthy and appropriate for a full relaxation.